Darden Rice should have PSTA's reputation and credibility at the forefront of her decision-making. At Wednesday's PSTA Board meeting the Board had the opportunity to clear up any possible hint of wrongdoing by electing a new Board Chairperson. See my Post Will PSTA Continue its wayward Path? Following a bit of convoluted logic by the PSTA legal counsel, the PSTA Board first voted unanimously to rescind the original vote removing Darden Rice from the Chairperson's position and then by and 8 to 7 vote the Board voted Rice back in as PSTA Chair. 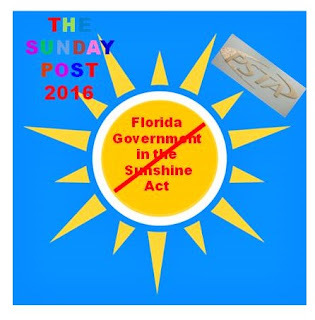 I am not sure how admitting there was a violation of the Government in the Sunshine Act by Ms. Rice and Ms. Johnson, then voting to rescind the vote that elected Ms. Rice, effectively removing her from the Chair role resolves the Sunshine Law violation question. Even more perplexing was why the PSTA Nominating Committee put Darden Rice up for the Chairperson role the second time. Apparently, they have no view of or respect for Government in the Sunshine. Then following a rambling discussion where Ms. Bujalski, Mayor of Dunedin and long time PSTA Board member, and current PSTA Vice Chair was nominated for the Chair from the dais the Board in a split vote elected Ms. Rice back into the chair position. Here is how the PSTA Board Members voted. Darden Rice could have avoided all of this. The person who brought the Legal action regarding the Sunshine Law violation spoke before the Board and indicated twice he would not challenge Darden Rice serving as the vice chair. All Rice had to do was remove herself from consideration as Chairperson and wait one year to become PSTA Chairperson. Darden is a lot more about Darden than her flowing eloquence would leave one to believe. Rice continues to enhance her reputation as a political opportunist since the issue of where she actually lived arose in the St. Pete City Council election, followed by a strong hint of running for the US House shortly after election to St. Pete City Council. Now the PSTA has a split Board led by a Chairperson who still at the best sits under a cloud of an ethics violation and a CEO with a very checkered past. See my Post: PSTA CEO Continues to Hang on to His Job. If Darden Rice is really all about public transportation in Pinellas County, then she should have PSTA's reputation and credibility at the forefront of her decision-making. That is obviously not the case.